Rebecca is the author of "A Parrot for Life" and a frequent contributor to pet parrot magazines as well as a blogger for The World Parrot Trust. She is also an artist. Her books, writings and products with her parrot and raptor art are available on her website. Consultation available for bird and mixed species shows including show design and staff training. 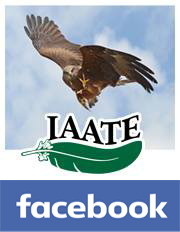 Individual consultation also available as well as lecture/workshops for parrot clubs, institutions and conferences.